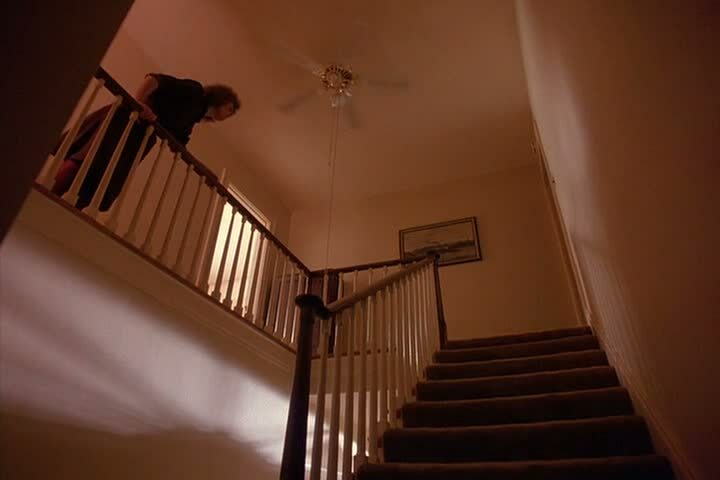 Anyone think that the stair case at the Palmer house -- some of the most iconic imagery from Twin Peaks -- looked nothing like it did during the original run? I'm guessing it's because the Hawk/Sarah scene from tonight's episode was filmed on location, and the interior scenes are normally done in a studio. But still... that's some serious stuff to mess up. You're right, this isn't THE staircase. The real one, which you see in the pilot and film, is on the opposite side of the one in this scene. Speaking of mirroring did Sarah speak backwards when talked about it being a damn sad story or was it a heavy slur. I swear they were playing with effects on her voice because the tone and timbre was all over the place. 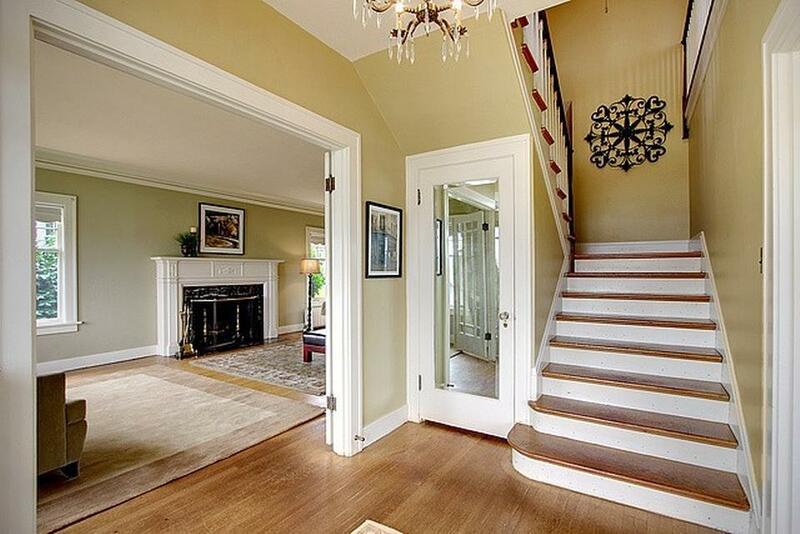 This is absolutely the same staircase. You're used to only seeing half of it from a wide angle. This time, you see only the bottom half. Maybe in the missing pieces, with the scene with the milk and the cigarette you can see the bottom half? The picture is from the Pilot, showing the top half. Actually, it's a complete different house than it was in the original series. When Hawk pulled up I didn't know whose house he was at until Sarah answered the door. I thought my memory was faulty. Guess this is why. Sarah has moved. Of course, why not? She didn't move, they just used another house for filming after the original show. 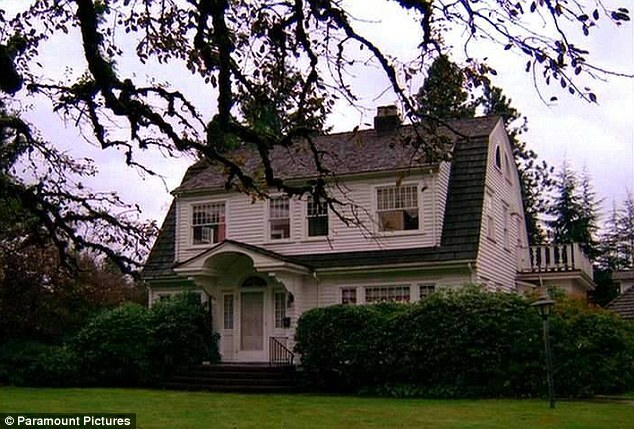 As you can see, the house in the Return is the same one as in the FWWM, and the FWWM plot is happening before the original show. "Is it future or is it past?" Does having two different houses mean anything or was the audience not supposed to notice? I mean, is it a production decision or a creative one? This show is confusing enough without swapping out houses. There was something going on there, need to watch that again and work out exactly what she said. I think in the store and the conversation with Hawk her voice changed. There is also something going on with the timing between Ep 2 and 11/12. The pinch point is the Chromatics playing the Roadhouse - it's the same gig in 2 and 12. Shelly talking about Becky in Ep 2 makes more sense if it takes place after Ep 11 - did she go there to meet Red after working in the RR that evening? Sarah Palmer watching TV in Ep 2 would be drinking the Bloody Marys that she bought in Ep 12 (presumably they've been delivered). Maybe the entire Shelly/Becky thread is moving backwards in time. I think too many people have gone much too far down the 'timeline' rabbit hole. While there may be some slight time differences with Vegas and other locales, it mostly appears that Lynch shot a whole bunch of stuff and is using it where he thinks it works best. To wit, he shot the Chromatics doing a set, and is using pieces of that in different episodes. Of course, I thought that because I haven't watched the old series in awhile, and so my most recent viewing of the house was from episode 12. I think it's meant to be the same house, but for whatever reason they couldn't use the same old house, so this is the closest one they found. It would also explain the different staircase (angle/schmangle, we see enough of it to know, that ain't the same staircase we saw in the Pilot episode).